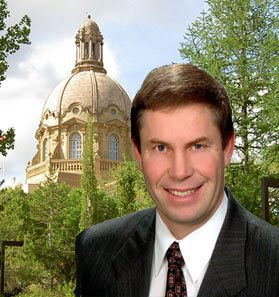 An upset in Calgary-Glenmore Monday night, as Wildrose Alliance candidate Paul Hinman has won the by-election in the southwest riding. Liberal Avalon Roberts finished a close second, while marquee Tory candidate Diane Colley-Urquhart placed a relatively distant third. Only about 300 votes separated Hinman from second-place finisher Roberts. The riding has been held by the Progressive Conservatives since the late 1960s, most recently by former deputy premier Ron Stevens.